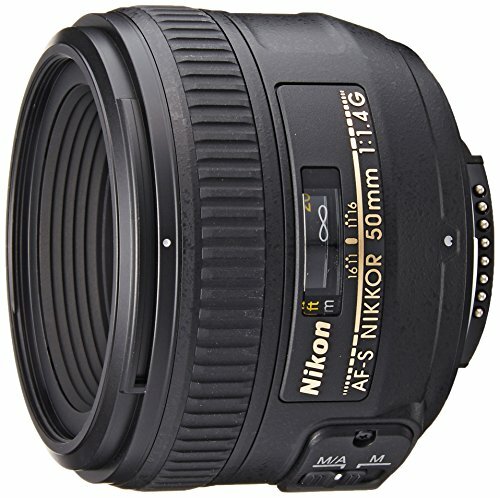 Looking for recommended lenses for your Nikon D5600? Here are the recommended Nikon D5600 lenses. Nikon D5600 has been one of the best cameras for its efficiency in helping many photographers realize the perfect image. Suitable for any types of shots, these lenses are highly capable of providing high-quality images. Either you are just a neophyte or an experienced one; these lenses are able to let you shot perfect images like a pro. With different features and properties found in each of them, these recommended lenses deserve to be part of your top choices with their versatility, functionality, and efficiency. Whether you are more of an adventurous photographer or the one who prefer to work in the four corners of the room, one of these lenses are perfect to use. With the fact that every photographer has its own needs and preferences, you might find the answer to what you are looking for. Perfect for an adventurous photographer, the Nikon AF-S DX NIKKOR offers stability in every image through its Vibration Reduction Zoom Lens. This technology provides 4.0 stops for a blur-free handled shooting. Another advantage of VR Vibration Reduction is it is suitable for low-light situations. This means that working inside a studio without a flash is finding with this lens. Versatility is another word to describe this lens. In its lightweight and compact property lies the capacity to shoot wide-angle scenes, shoot a perfectly clear image, close-up telephotos effects and etc. Optimizing HD videos and still shootings, this lens is quite impressive. Athletic events, wildlife, simple portrays, and concert performances are just a few of the many types of activities and events which the use of this lens is perfectly suited. In its dimension of 3.8 x 3 x 3 inches, lies the different technologies applied to this lens to enable every photographer captures the perfect view. This new ultra-high ratio zoom lens is considered as one lens solution for photographers in a wide variety of situations. Capturing the best views even from afar is not a problem with this lens. This is because of the 11x zoom capacity which creates versatility in general. So what are the different technologies that made this lens highly efficient? 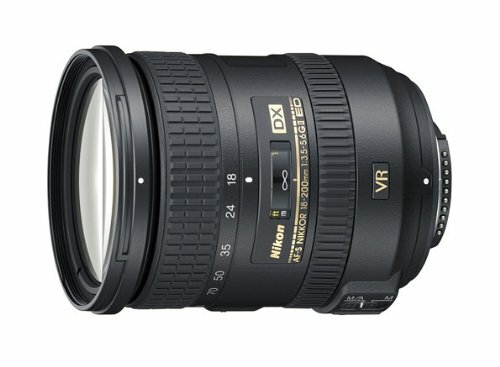 This lens features the upgraded version of vibration reduction technology which is the Nikon VR II. This creates stabilization in every image that supports shooting up to 4 shutter speeds slower which results in sharper images. Added to its features is the Two Extra-Low Dispersion (ED) Elements which works in producing sharper images with color corrections. This technology minimizes chromatic aberration even under wide aperture setting. On the other hand, the three aspherical lens element of this Nikon lens works in eliminating the coma and other types of aberrations virtually. The zooming versatility of this lens is also partnered with zoom lock switch which secures the lens barrel under its minimum length. 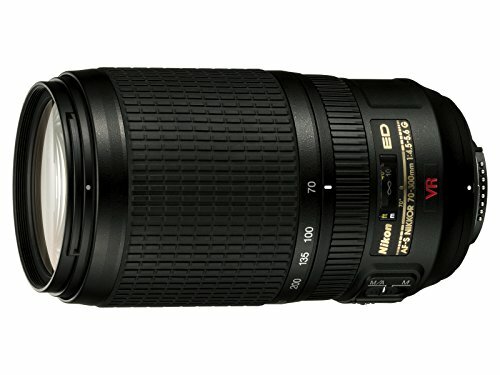 Nikon 18-200mm f/3.5-5.6G AF-S ED VR II is a really versatile lens that fits any type of photographers. Flexibility is the word which will best describe this Nikon lens. This is a product of the state of the art wide-angle prime lens which is designed not just for full frame cameras but with APC-Sensors as well. Its 20m lens is so far the widest large aperture art lens to date. This has the latest optical design which will allow quality in every image while considering the edge to edge performance. Spherical aberration, axial chromatic aberration, and field curvature are the common reasons why the image itself doesn’t come as a perfect piece. However, with Sigma 20mm F1.4 ART DG HSM Lens for Nikon, these common problems will be minimized effectively. This is because of the combination of advanced optics and optimization of lens power distribution. The incorporation of “F” low dispersion (FLD) and 5 Special Low Dispersion or SLD glass with a design of 15 elements in 11 groups. 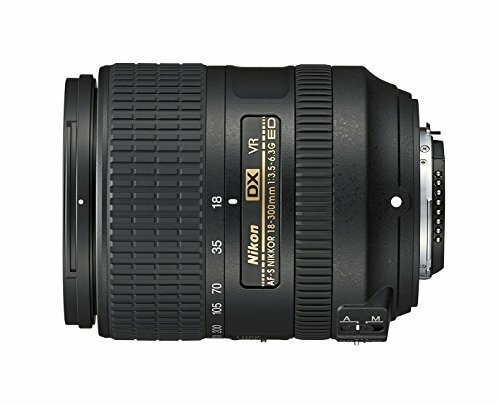 With its focal length of 10-24 mm and close focus of 0.8 feet, this lens is a good choice for your Nikon camera. It’s a compact lens with ultra-wide angle zoom which makes this lens is ideal for landscapes, cityscapes, interiors, architecture and more. This lens renders a picture angle of about 110 degrees through 61 degrees. The exclusive Nikon Silent Wave Motor is another feature that this lens may boast. This type of motor will enable a fast, accurate, autofocus, and quiet operation. When it comes to its overall performance, this lens works well too. It has two ED glass elements which provide sharpness and perfection in an image even when used under wide aperture. Just like other lenses, it has also three aspherical lens elements that reduce the aberrations and come in every shoot even under serious aperture. With all of the technologies featured in this lens, the end product is undeniably a good choice of lens. In fact, this lens has the best perspective and quiet impressive wide range of angle. This is a very big advantage because having a wide range of angle will enable you to draw the image itself. With this, your output image will become more likely high-quality and breath-taking. 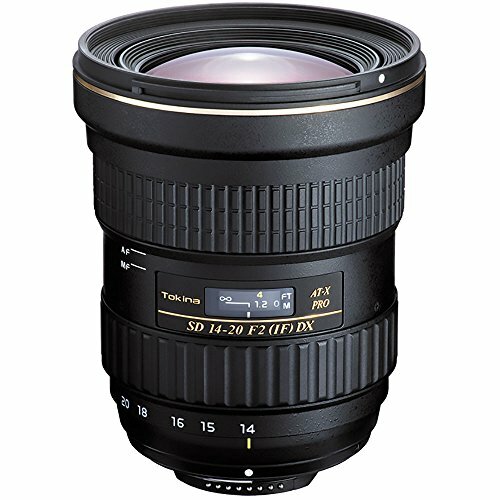 If you are running out with your preferred brand, the Tokina AT-X 14-20mm f/2 PRO DX Lens for Nikon F is a good choice alternative since this is one of the best in the market. Name all the environmental photography applications and they are best suited with this lens. This is because it is well-designed with many features and technologies which work together in order to acquire the best image. With wide angle range, this lens provides a great piece of image perfection while maintaining the natural beauty and art of the piece itself. This lens is able to work well even under strong lighting because it has the capacity to suppress flare and ghosting. Thanks to the multi-layer and anti-reflective coating of this camera lens. With a span of 21-30mm equivalent focal range length, this lens provides a wide angle zoom with sharpness and clarity in every picture. 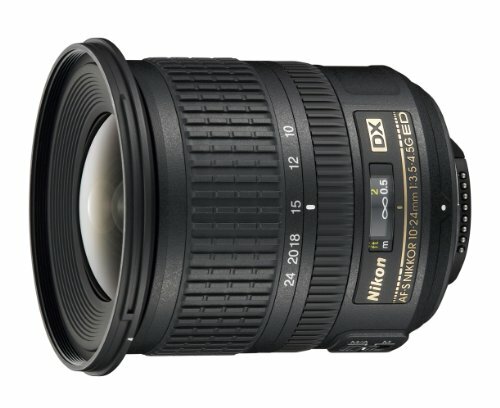 Even in maximum aperture, Tokina AT-X 14-20mm f/2 PRO DX Lens for Nikon F provides a better performance and consistency. This is why this lens is perfect to use for outdoor adventure and shooting. On the other hand, does this lens will work out well with low light and indoor shoots? Definitely yes. It’s a good thing to know that strong lights are the only one that can be surpassed with this lens but might as well low light rooms. With this, this camera lens is indeed flexible and versatile. In its dimension of 77mm of diameter x 94mm length as well as in its weight of about 665g, lies a good performance in capturing best images. This lens features a focal length of 35mm which is equivalent to 52.5mm focal length of APS-C cameras. 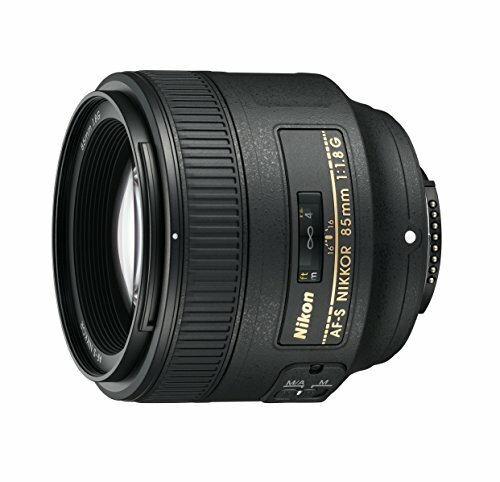 With a maximum aperture of F4.1 and minimum of F16, this lens is compatible with all the current Nikon cameras. 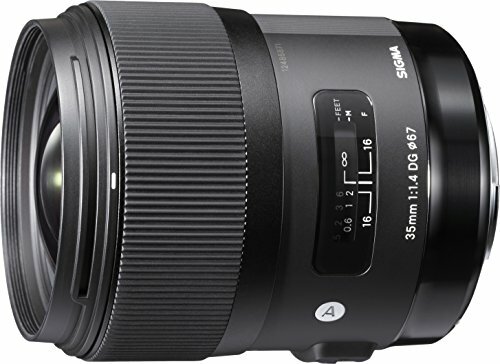 Just like the other lenses under this product line, Sigma 35mm F1.4 ART DG HSM Lens for Nikon features the Hypersonic Motor which ensures quiet, speedy, autofocus and accurate operation. This results in great shots of images in a high quality. It has also SLD and FLD glass elements which work in correcting the axial and chromatic types of aberration. With its overall good performance paired with general compatibility, there is no doubt that this lens is one of the best choices. 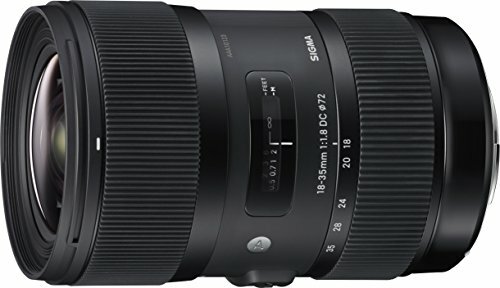 Sigma 18-35mm F1.8 ART DC HSM Lens for Nikon is somehow falling on the sharpest lens. The sharpness it can offer is enough to enable you to capture great pictures. With its wide angle, no doubt that using this lens will give you a chance to capture the best images. However, wide angle is not the only feature this lens can brag. It is also the focus. The focus of this lens is quite impressive which will result in an increase of accuracy in every picture. Another property you can find in this lens is durability. This feature is a very important one knowing that taking pictures is more than a hobby itself; it’s a job which sometimes requires effort and the camera will likely get damaged. Most importantly, this lens is suited the most in low lights. Thanks to the Thermally Composite material you can find in this lens. This is the major factor which increases its overall durability. 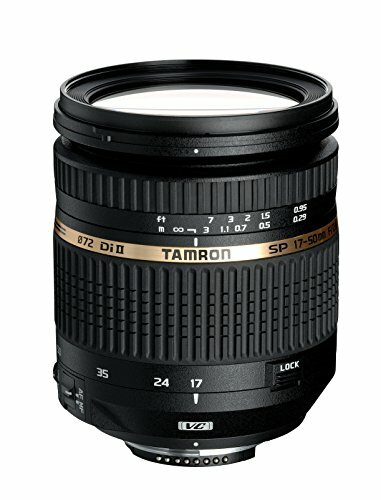 A highly efficient Nikon lens, this is the Tamron SP 17-50mm F/2.8 XR Di-II. This lens has wide aperture and outstanding performance and it also suits low-light shootings. This is a type of Di II lens. This means that it is exclusively designed for digital cameras with small size images. In order to make use of this lens, you must make sure that the image sensors are larger than 24mm x 16mm. Despite that limitation, when it comes to its overall job and use, this lens is a good choice. It has the capacity to capture beautiful images with the help of its features like Vibration Compensation which delivers blur-free images and unclear shots. The aspherical elements of this lens simply provide compactness and quality in every image. The Extra-refractive Index Glass is also a feature that this lens has which is able to bend the rays of the sun. With its short, smaller-diameter, and lighter lens, this lens has optical power distribution which makes the whole image capturing process even better. 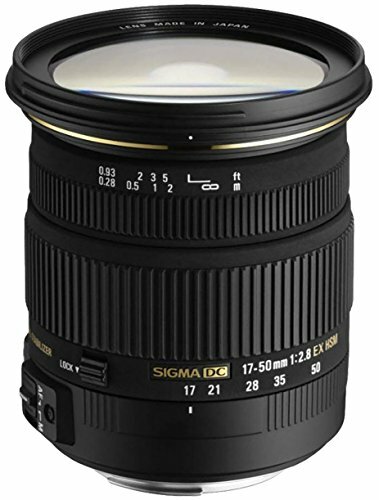 A lens for better quality and on-point images, this is the Sigma 17-50mm f/2.8 EX DC OS Lens. It has a total dimension of 3.6 x 3.3 x 3.3 inches and weight of 1.25 pounds. This lens features a total of 7 diaphragms and a minimum aperture of f22 which contributed a lot to its overall good performance. This lens provides a wide angle of zoom range which makes it a better lens that shoots perfect images. In its compact and lightweight design, comes the ability to capture pictures in total focus even in low lights. With this, you can use this lens in indoor photo shoots as well as other low light pictorials. This lens is also good for reducing flares and ghosting effects. This is because of the Super Multi-layer coating that added in the Sigma17-50mm f/2.8 EX DC OS Lens. The anti-shake feature of this lens is one of its good points knowing that it keeps the whole thing stable and less shaky. All in all, this keeps the whole process easier and less-hassle as it captures images perfectly. 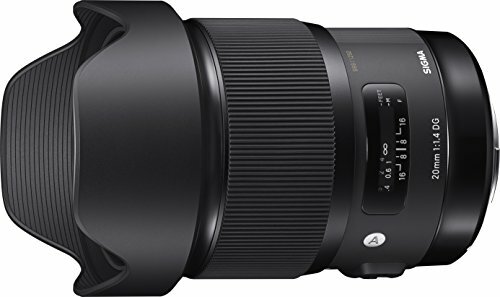 Tamron SP 70-200mm lens has a weight of 3.24 pounds and dimension of 7.8 x 3.4 x 3.4 inches, Tamron SP 70-200mm F/2.8 DI VC USD Zoom Lens for Nikon Cameras is a compact lens which boasts good image stabilization with an edge to edge quality. This is because this lens has a powerful vibration compensation which prevents blurry and unclear images. This lens also features the famous anti-coating technology which is responsible for the enhanced performance of the lens preventing flares and shakiness. It also offers high contrast and high resolution the zoom range making this lens able to produce high-quality pictures. Though mobility is sometimes the hindrance to achieving a perfect shot, in this lens, this seems not a problem anymore. The combination of vibration compensation and Ultrasonic silent enables the photographers to capture those pictures which you believed before as unattainable. 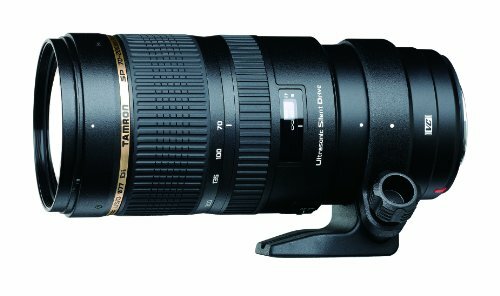 With zoom lens of about 70-300mm with a maximum aperture of 4.5-5.6, this lens is to provide you a better performance. This is a real high-powered lens which is able to operate a great piece of images. Its optical performance which works well too with the help of its ED glass feature since it lessens the chromatic aberrations which result in superb contrast and efficient performance. With a focus on as close as 4.9 ft through the whole zoom range, using this lens offers the photographer a chance to capture those images which are not that close perfectly. Unlike other lenses, this one features a total of 9 blades rounded diaphragms which make the focused object appear as very natural. On the other hand, this lens also offers convenience in every use through its non-rotating elements. These elements will provide you to polarize filters in circular form. Just like other lenses out there, this one also features the known Silent Wave Motor which makes the operation quiet yet fast and accurate. 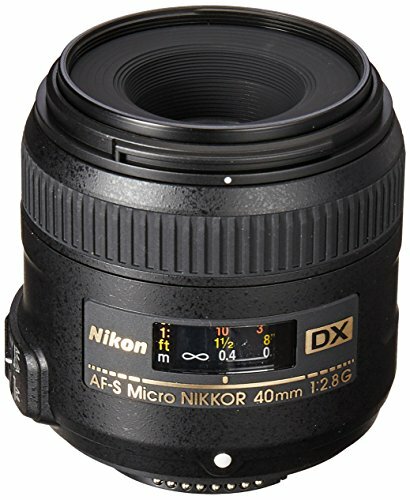 If you are looking for a lens which is perfectly suited for close-up and macro photography, then the Nikon AF-S VR Micro –Nikkor 105mm f/2.7G IF Lens might be what you are looking for. This lens is designed for any photographic situations. This lens also offers the stability of image while you are using. This is because it used the powerful and more improved Vibration Reduction version 11. This provides every photographer a chance to enjoy a close-up and more focused image yet very the result is a clear and sharp piece. This lens is also able to reduce flare and chromatic aberrations through its Nano-crystal coat and ED glass elements. With a weight of about 279 ounces and overall measurement of 33 x 45 inches, this lens is easy to take with. All in all, this lens is a great choice even for those who are just starting with photography. This next choice of lens can be your DSLR best buddy. It showcases standard portraits for everyday use and for important occasions. The 50mm focal length of this lens provides you the chance to capture stunning images. With a dimension of 2.1 x 2.9 x 2.9 inches and weight of about 10.2 ounces, this lens is light in weight yet a compact one. This is perfect to use for any event and outdoor adventures. This lens provides less light effects in every image which results in a realistic picture. Just like other lenses out there, this one has featured many technologies that contribute to the efficiency of this lens. These technologies include the silent wave motor that makes the whole operation quiet yet more focused, an aspherical lens which is used for the reduction of aberrations, a super integrated coating that protects all the elements of this lens. All these technologies are widely used and proven in making the object pictured a true piece of art. This lens comes with a weight of 12.3 ounces and overall dimension of 2.9 x 3.1 x 3.1 inches. A great size which is both perfect any event since it is highly portable and light in weight. However, more than the nice size of this lens, its overall performance will still matter the most. 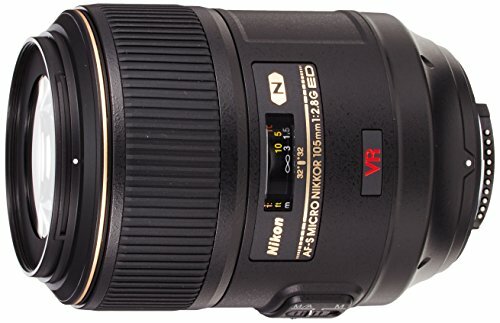 Just like other lenses for Nikon cameras, this choice still deserves a commendation.It has a focal length of about 85mm, enough to capture beautiful pieces exactly. Aside from that, uses the Silent Wave motor that adds up to its overall efficiency. The Nikon Super Integrated Coating is also present in this lens. This lens is a type of medium telephoto lens with fast aperture. This makes the whole performance of this lens good enough and able to take sharp and high-quality pictures. This lens is another good choice that comes in a compact and lightweight design. It has an overall measurement of about 8.3 ounces and overall dimension of 2.6 x 2.7 x 2.7 inches. With the ability to provide you an auto-focus of about 64 inches, this lens guarantees sharp images in every shoot. Knowing that this lens has about 7 elements of lens constructions, this one is really a heavy duty which works well for any type of photography. With a maximum reproduction ratio of 1.0x, the focal length of 40, and a minimum focus distance of 053 feet, this lens enable every photographer to perfectly capture the best image. With so many lenses available today and with the fact that manufacturers used different abbreviations on the same property, it is best for every buyer to have an idea about the important features of the lens. The aperture or the maximum aperture is always present in all lenses. The aperture will tell how much light the lens can accumulate. When there is more light, this means that you can still capture in the dark without the blurry effect. Considering the focal length of the lens is one of the major considerations when choosing which lens to buy. The focal length comes in millimeters and it will tell whether your lens is telephoto or wide angles. With this, your purpose of using the lens will determine which you’ll choose. This is because both the wide angle and telephoto lens have their own advantages and disadvantages. Moreover, they have also different certain suitability. Both the fixed and zoom lens has their own advantages and disadvantages. While the zoom lens has various focal lengths and is considered as the most chosen by many photographers, the fixed lens has also clearer image effect. With the hope that this review helps you a lot in finding the one which will meet your needs, we will continue to keep an eye with the best choices in the market to help every photographer capture the best images and pieces of art.